This Printable Valentine Coupon Book for Kids is a fun and easy way to show your love for children. Even better, it’s a sign of affection that won’t cause cavities! Valentine’s Day is such a fun holiday for my kids. They love exchanging Valentines with their friends and classmates. I love that they enjoy sharing fond sentiments with each other. 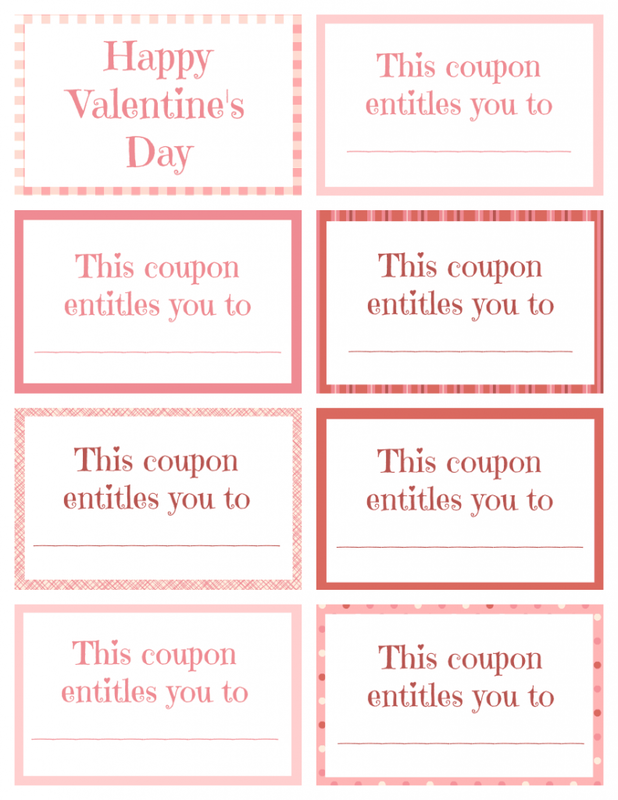 This Valentine’s Day I wanted to find a way to show my love for them too and since they always look forward to the kid coupons I put in their Christmas stockings, I thought I’d come up with a printable Valentine coupon book for kids to extend the same idea to this holiday. I made up this coupon book with some of their favorite coupons from ones I’ve given them in the past. These are the types of things that they really enjoyed when they were younger (preschool and elementary school). My older kids still like to get out of chores and choose dinner, but in lieu of a bedtime story they prefer extra video game time, an outing to get frozen yogurt or a curfew extension. I’ve also created a version that lets you fill in your own rewards so that you can tailor it to the things your child enjoys. 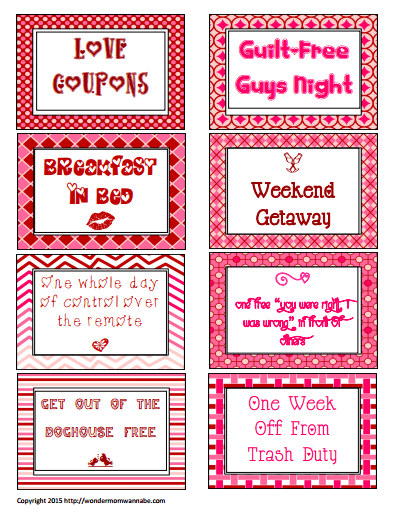 If you like the Valentine’s coupon book for kids, you might also like my Love Coupons for your spouse or significant other. Looking for more ways to make this Valentine’s Day special for the people you care about? Here are some ideas from some of my favorite bloggers. 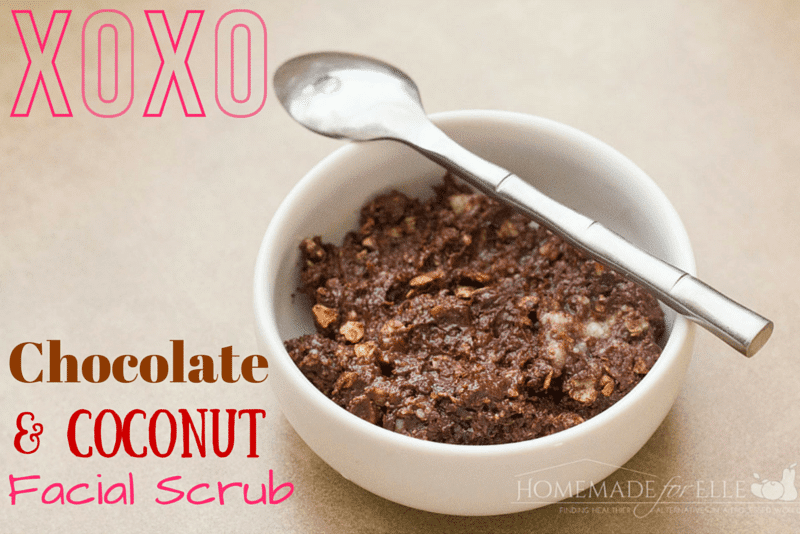 This homemade chocolate facial scrub from Homemade for Elle would be a great gift for your mom, best friend, sister, or teen daughter. This super simple gift idea from Organized 31 is perfect for almost anyone – teachers, kids, friends, co-workers. 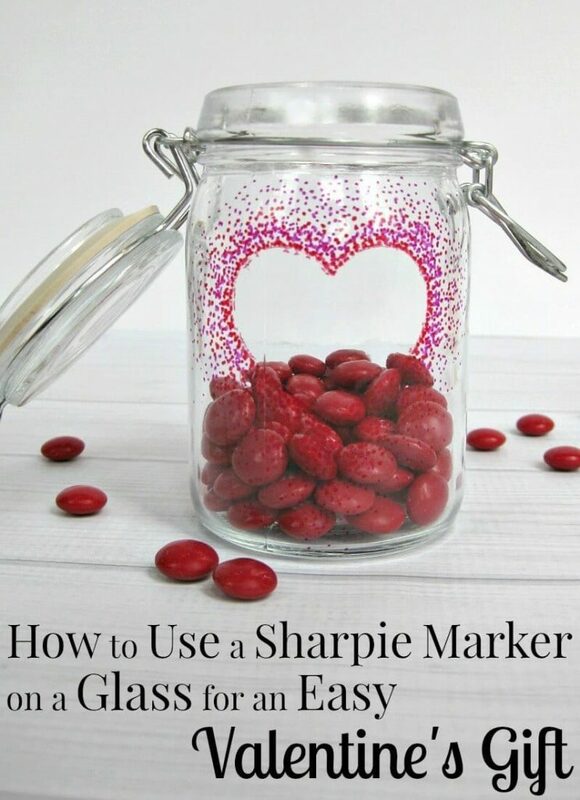 She shows you how to use a Sharpie marker on glass to create a customized gift. Check out my Family Friendly Valentine’s Day ideas for even more ways to celebrate with your family. I am really exited to give these to my daughter on Valentine’s Day! I love the idea of a candy-free gift, she is going to love redeeming these! Thanks so much for providing the free printable! 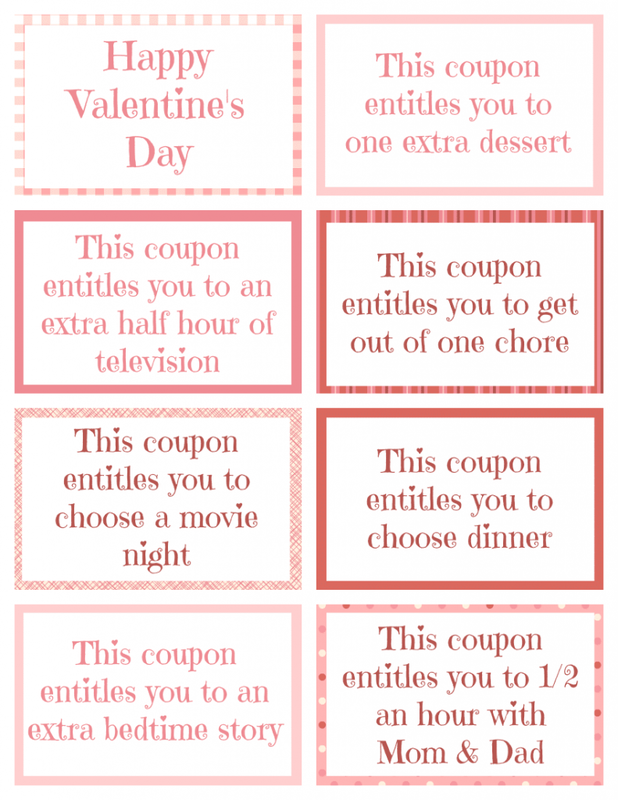 Valentine coupons are a fun way to show your kids how much you love them. Thanks for the printables!